Using cookie cutters, cut out 10 shapes from bread using 2-inch star-shaped cookie cutter. 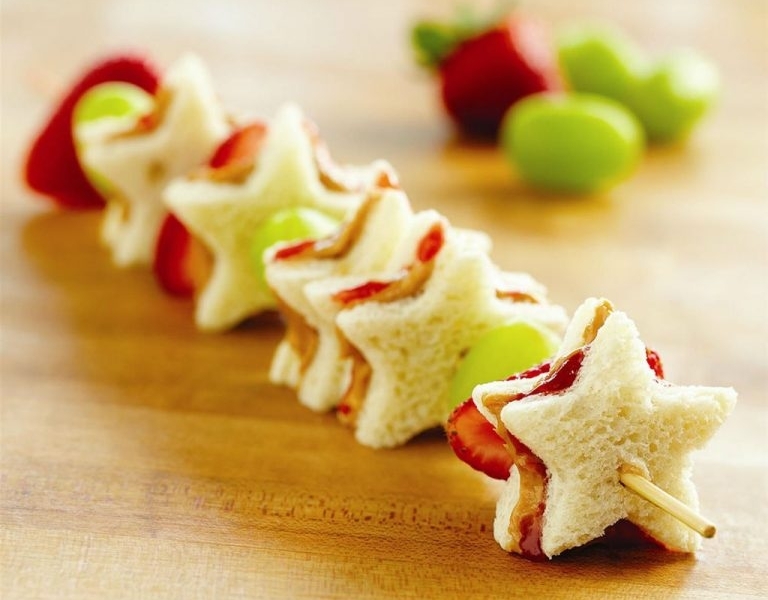 Spread peanut butter on half the stars and jelly on remaining stars. Press together to make small sandwiches. Construct your kabobs with the sandwiches, strawberries, and grapes onto the skewer.